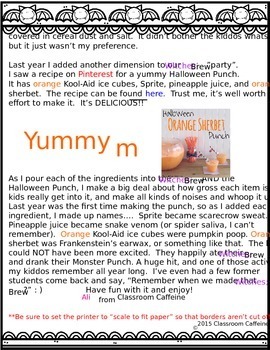 Have some BEWITCHING fun with the kids on Halloween with this fun activity. 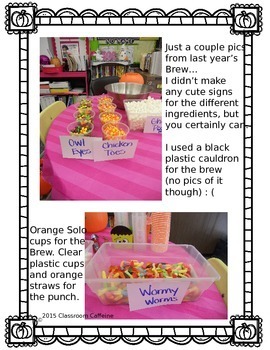 Make a WITCHES’ BREW with your students! 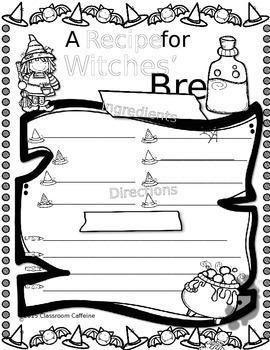 This packet includes both a color and black and white version of the recipe paper. 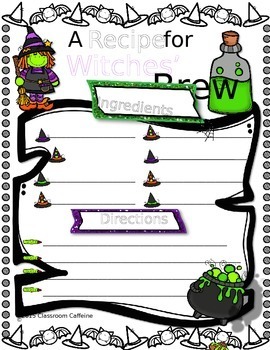 I included links to resources you can also download for free that has even more activities you can use with the WITCHES’ BREW.